The Bowers Museum and the Chapman Italian Studies Program have established a new internship in Museum Education and Administration for students of Italian at Chapman. This year, interns review and research exhibition content and assist in developing educational materials and programs for general public and schools to engage in the Knights in Shining Armor exhibition, on loan from the Museo Stibbert in Florence, Italy, opening at the Bowers Museum, September, 2018. 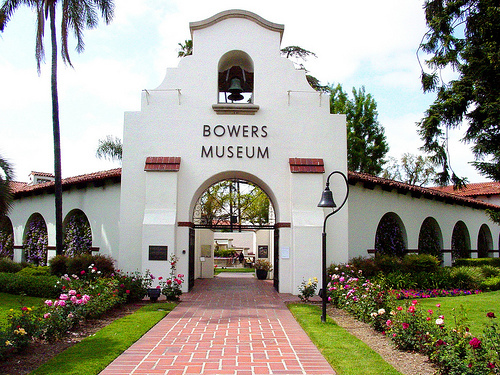 Founded in 1936 by the City of Santa Ana through a bequest from Charles and Ada Bowers, the Bowers Museum is one of California’s finest and Orange County’s largest museums. The museum recently celebrated the grand opening of the 30,000+ square-foot Dorothy and Donald Kennedy Wing in February 2007. To achieve its mission, the Bowers offers exhibitions, lectures, art classes, travel programs, children’s art education programs, and other special community programs. This entry was posted in Community, Students Success. Bookmark the permalink.